Having already seen several of the other temples on Malta, the first impressions of this site are undeniably disappointing. The remains of one of the oldest temples on the islands are barely distinguishable from a pile of stones. This temple was discovered in 1925 by Sir Temi Zammit, Malta’s first director of museums. 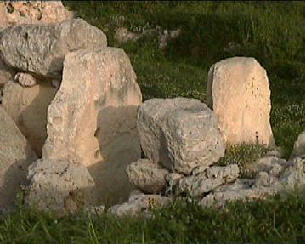 Remains were first discovered in Mgarr after a mound of earth was sighted in a field. 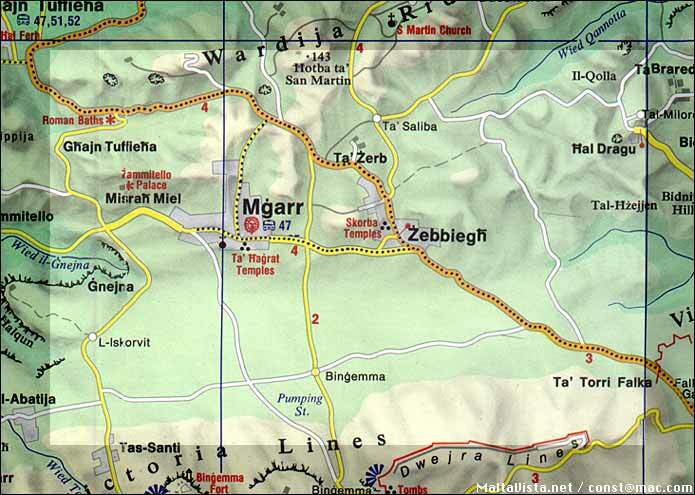 It was called Ta’ Hagrat and as with Malta’s other temples, which are generally found in pairs, this too had a partner - Skorba temple lying just one kilometre away. The site was thought to be of minor importance even though distinctive pottery was found. 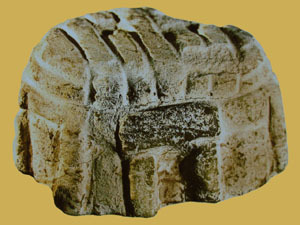 In the early 60s however, further work was carried out by David Trump - curator of archaeology between 1958 and 1963 at the then National Museum of Malta - who uncovered a unique find: a small model of a temple made from limestone (right). 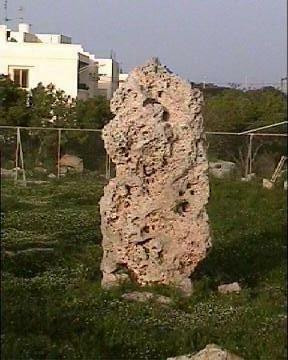 Although the temple is now greatly dilapidated, the Menhir still stands directly in front of the entrance. 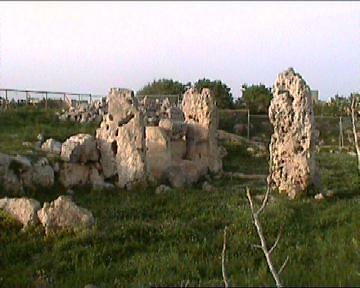 At Skorba, a typical three-apsed temple was built in the Ggantija phase (3600 – 3200 BC), replacing a village that had been inhabited since the Ghar Dalam phase (5000 – 4300 BC). Remains include the stone paving of the entrance passage, with perforations to carry libation offerings, the torba floors of the apses, a 3.90 metre high slab of coralline limestone, and a step covered with pitted decoration. The use of globigerina limestone in the construction of the doorway leading to the inner apse of the West temple is noteworthy since globigerina is not present in the immediate surface geology around Skorba. The nearest source is about a mile away. To transport blocks weighing more than one tonne across a mile of open country must have been an extraordinary feat. 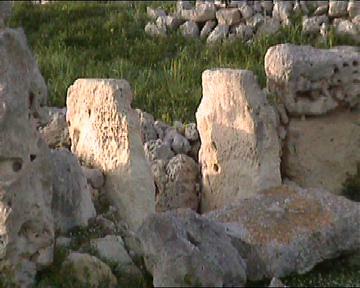 A second temple was added to the east in the Tarxien phase (3150 – 2500 BC). It was in a more ruinous state when found, but originally consisted of four apses and a central niche. The alter is still visible in the middle. 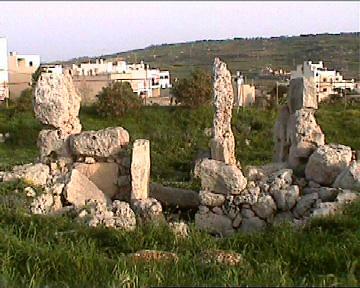 Skorba was occupied long before the temples were built. 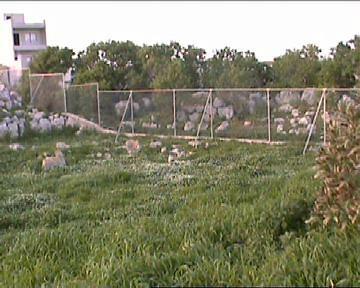 The earliest structure identified on the site is an almost straight length of wall, of which 11m were exposed. This was dated to the Ghar Dalam phase (5000 – 4300 BC). Among the domestic waste found on its north side, which included charcoal and carbonised grain, were several fragments of daub, accidentally baked. 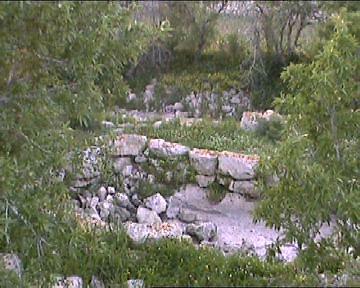 In the field east of the Tarxien phase temple, a much more extensive structure came to light. It consisted of two rooms dated to the Red Skorba phase (4400 – 4100 BC). The irregularity of the floors and the absence of hearths seem to preclude the site’s domestic use. The group of figurines found in the northern room, now on display at the National Museum of Archaeology, suggest that this building had a religious function. It may be considered then a true predecessor of the temples which first appeared some centuries later. 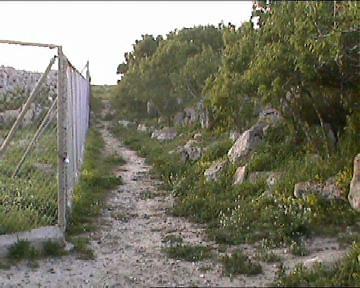 Sadly, for what is considered one of the oldest temples on the island group, and therefore presumably, one of the oldest freestanding structures in the world, a large section of the temple area remains outside the fence, and is completely un-protected.